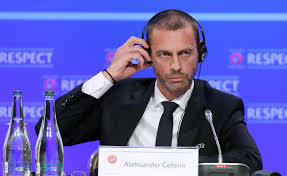 Ceferin said he was concerned that in this day age, such a conference even had to be organised. Ceferin wants referees to remember the three-step process that can see games stopped, suspended or ultimately abandoned if racist abuse continues. Ceferin was speaking a week after Montenegro fans racially abused at least three England players during a Euro 2020 qualifier. Many observers have criticised UEFA for not imposing tougher sanctions than just heavy fines and stadium closures but Ceferin countered: “I don’t see any tougher sanction than … matches played in front of empty stadiums, which has happened in Croatia a few times, and money sanctions. English FA chairman Greg Clarke, who spoke after Ceferin, said every complaint should be investigated, rather than just reported by match officials, assisted by video technology and, if necessary, lip-readers. Momir Durdevac, general secretary of the Montenegro FA who attended the Equal Game conference at Wembley, said later through a translator that he personally had heard no racist abuse at the England match and blamed a “handful of idiots’”. Whilst he apologised “to all those who have gained a very bad impression” of his country, Djurdjevac nevertheless conveniently insisted none of his own officials had heard the abuse. Nor, he said, had the UEFA delegate even though football’s European governing body have subsequently opened an investigation.